Vigorous as his engagement was with classical literature, Heaney reveled in the word shapes that filled the air of his childhood geography and turned what London salons might have called a patois into a language confident of its powers to name and conjure. From his earliest poems, he fashioned alluring lines out of that pungent rural Northern Irish word-hoard stocked with Ulster Scots, Irish Gaelic, Hiberno-English and Viking contributions. Heaney readers all over the planet breathe in South Derry words like bullaun, trig, dunting, rath, kesh, keel and hoke. The pleasure of every fragrant inhalation strengthens the claim of those who speak this language in their daily life to “possessing the rights to a space in the world,” as Heaney once wrote in a different context. 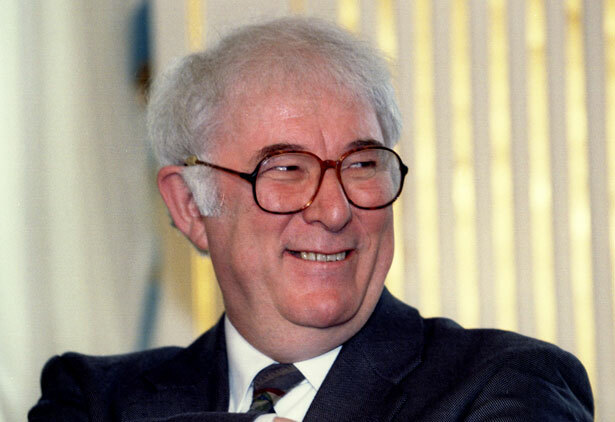 In 1995, James Longenbach reviewed The Redress of Poetry, a collection of Seamus Heaney’s lectures at Oxford.